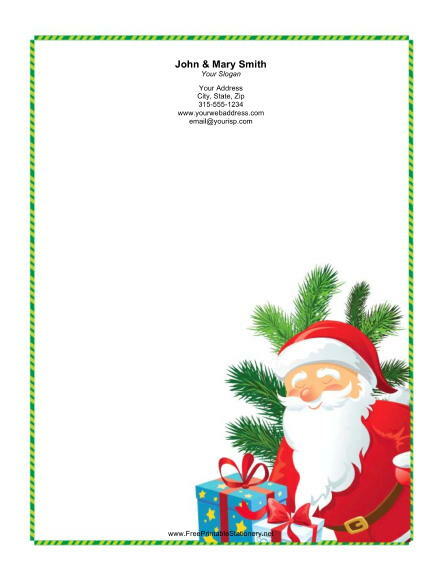 On this Christmas printing paper, Santa Claus smiles with gifts and a sprig of pine. He is surrounded by a green candy cane border. A cute Christmas frame like this makes the perfect letterhead for writing letters to family and friends around the holidays.